Its been awhile since my last post. 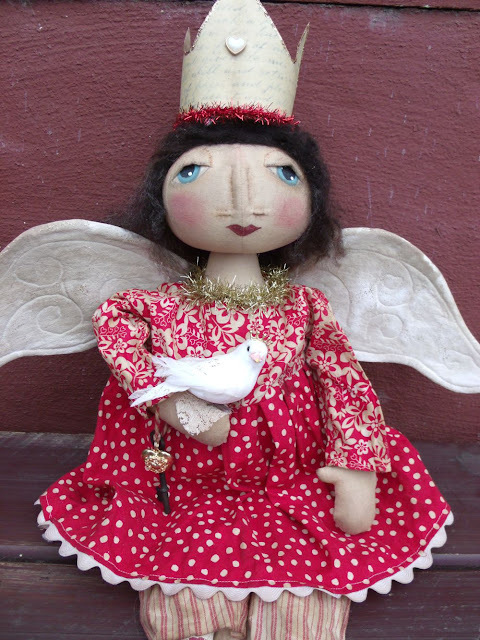 I have been busy making lots of dollys for wholesale and some retail. Above is 2 of my Annies that where sold for wholesale. Aren't they cute. One holds a embroidered heart and the other a bunny! 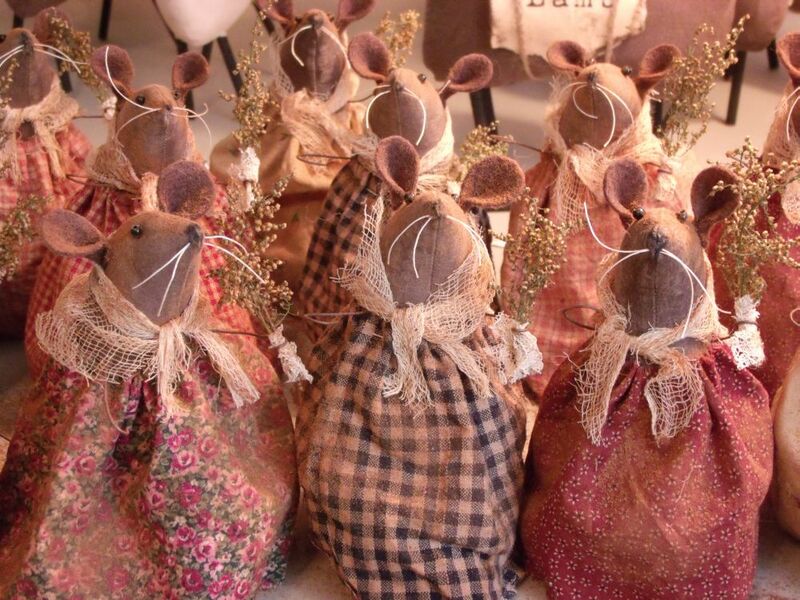 Now we can't forget my mice. Yep they are still a big hit and these mice headed off to PA several weeks ago. 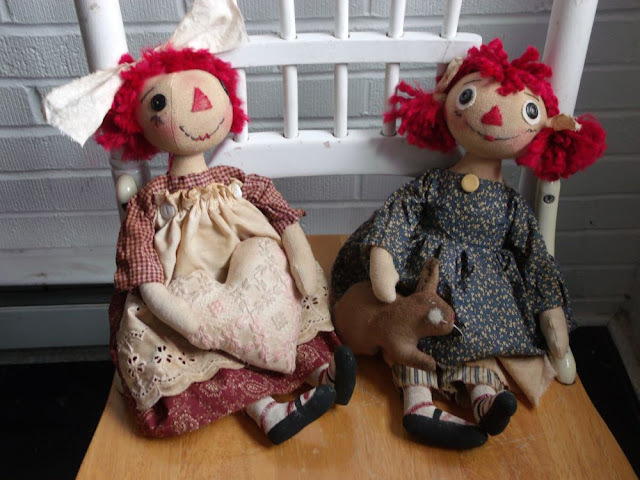 You can go see them at Ole Crow Primitives in Fayetteville, PA. They are holding Sweet Annie. 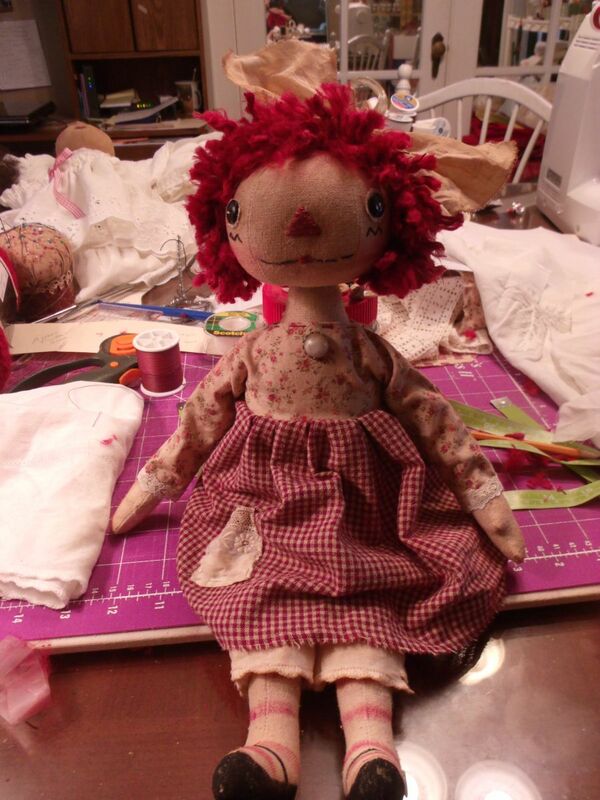 Speaking of Sweet Annie, above is a dolly I have sent off to Prims. She will be making her debut sometime later this year. Isn't she darling! I love the giant bow. She wears lots of vintage lace and buttons. Very dear indeed. Last but not least is this darling Queen Valentine doll that I made for a very lovely lady named Karen. She was a Special Order and she came out great. Big blue eyes and her sweet dove, they both are wearing crowns of course. Thanks for stopping by and taking a peak. Now you know what I have been up to lately. Busy, busy, busy. Hope all is well in your neck of the woods. Take care and God bless. John 3:16 For God so loved you he gave his only son so if you believe in him "Jesus" you will not persish, but have life everlasting!